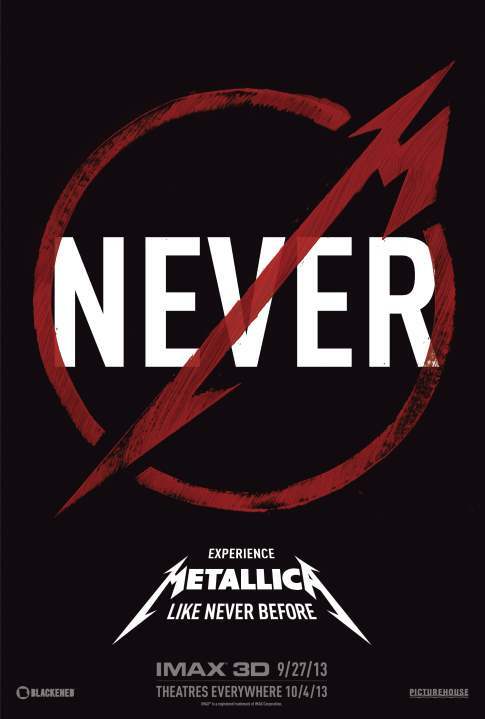 Written and directed by Nimród Antal (Predators, Kontroll), the movie tells the story of a band crew member (played by Dane DeHaan) who is sent out on a mission during Metallica's live set in front of a sold-out arena; while on this mission, he unexpectedly has his life turned completely upside down. Due for release this fall, the project has been described by DeHaan as "a concert movie meets 'The Wall' meets Metallica." “Through the Never” will debut in IMAX theatres across North America for a one-week engagement starting Friday, September 27. The film will then expand into additional theatres on October 4.